Chief Justice Mian Saqib Nisar on Monday took suo motu notice of water shortage and its lack of supply throughout the country. On June 7, the Supreme Court will hear cases regarding water shortage in the capital, while the apex court’s Karachi and Lahore registries will hold hearings on June 9 and 10, respectively. 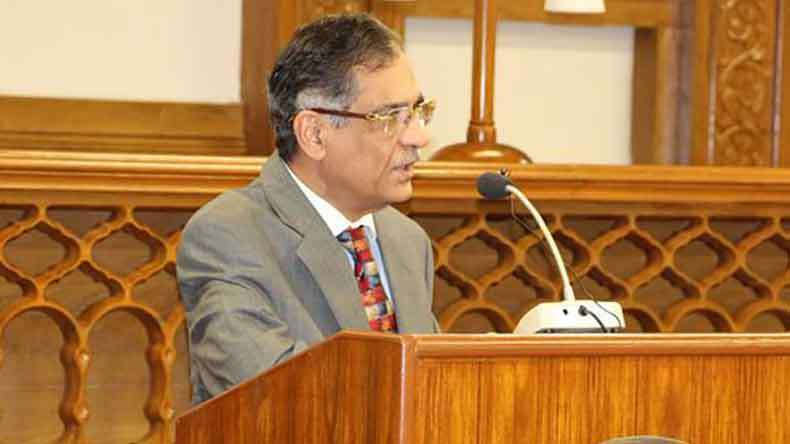 The chief justice will also hear cases related to water issues in the Peshawar and Quetta registries. The SC issued notices to top officials from the Capital Administration and Development Division as well as the attorney general, advocate general, and others, and demanded an explanation regarding the water shortage in the capital. Justice Nisar was heading a three-member SC bench that was hearing a 20-year-old petition filed by Barrister Zafarullah, a senior lawyer from Lahore, concerning the Kalabagh dam. He had argued that 20 per cent of Pakistan’s growth rate depended on water supply, yet no dam had been built in the country for the past 48 years.